Contrasting to the notion as the follower of traditional techniques the web design is an ever-changing arena. In the present days, we have become quite familiar with it and it is no more a surprise for the users and developers. The most astonishing part is the endeavor of the developers to adjust to the increasing challenges of technology. The web designers still manage to structure a website that exhibits steady and commercial styles which are user-friendly, lucid and inventive, and conceivable to any gadget. There were many technological progressions in the current year 2017, which even showed that the desktop browsing is being overpowered by the usage of mobile. Taking all these things under consideration, let us check out some remarkable trends that are going to take over in the upcoming year 2018. Considering it to be a versatile media, illustration is used to create pictures which are lively, frisky, and can be used as an element of exuberance to the website. The illustration-skilled artists prepare striking images which evoke a brand’s personality. This trending web design is perfect for trades and businesses that are fun and vivacious and are able to create brands that are assumed to be somber and dominant. This kind of design makes the brand more approachable to the visitors. Whatever your brand might be, there is always a suitable pattern ready for it. The upcoming year 2018 is appearing soon with a number of saturated and vibrant colors in store. In the recent past, the designers confined themselves to a particular set of colors which were considered to be safe for a website. But, in the present days, they are showing courage to choose some bold colors including the super-saturated and catchy shades accompanied with headers of the new style. This is partially done with the help of advanced technologies in gadgets and devices with a screen which is able to produce rich colors. The vibrant and shocking colors can prove to be beneficial for the new brands as they are efficient to grab the attention of the buyers. On the contrary, this is also highly effective for the old businesses which are willing to push the barriers and set a trend. The use of mobile in browsing has surpassed desktop in the present days. People are more comfortable in browsing and shopping through mobile phones rather than desktops. A few years back, this was an awkward process which was not something that could be easily adopted by us. The designers were also puzzled about creating a menu, submenu, and other stuff on a small screen. But, in the present scenario, the designs have matured thereby compressing menu into a smaller screen. The fonts used in an advertisement play a significant role in the sphere of visualization, creating a personality and setting the correct mood on a webpage and thus conveying vital information to the buyers. Nowadays, since the resolution of the gadgets are getting sharper and can be read easily, a considerable increase in the utilization of custom fonts can be observed. Innumerable search engines, except the Internet Explorer, are able to support typography which is exclusively hand-made and CSS enabled. In order to keep the visitors engaged in your website, you can use the latest trend of large and bold letters to introduce dynamism to your web design. With the advancement of the new web browsing technologies, the web designers are shifting from the conventional static images to brand new ways like animation with the aim of keeping the readers engrossed in the websites and increase the conversion rate. The smaller animations used throughout the page can prove to be more beneficial than the larger ones. It goes without saying, that the utilization of the shadow design is not a new concept. In web designing, the usage of shadow has been a staple thing for quite some time, but certainly interesting variations can be observed these days. Thanks to the advancement of web browsing technology. With the availability of such layouts like grid and parallax, the developers are able to show their efficiency by experimenting with shadows and incorporating depth in a design. It is often said truly that images speak more prominently, and the live ones surely do. The brands are capable of etching a deep memory into the visitor’s mind in a considerably shorter period with the incorporation of gradient backdrops. 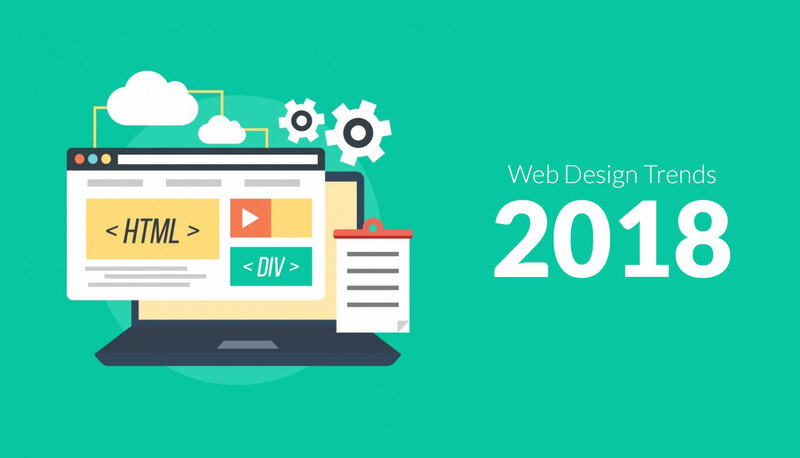 Apart from the vibrant colors, animations, and typographies, the year 2018 is coming up with a lot more funny and interesting elements to create exclusive experiences in the world of web technology. It is a thing of excitement to watch what the web designers are about to come up with in 2018, shunning all the restraints.